Prior to launching RevenueJump, I personally analyzed over 20,000 local listings in Google. I wrote about my experience a bit in our first blog post. In a way, this site and our software are both here because of that research. Doing all that dirty, somewhat tedious work myself is what really got me thinking in the direction of reviews. 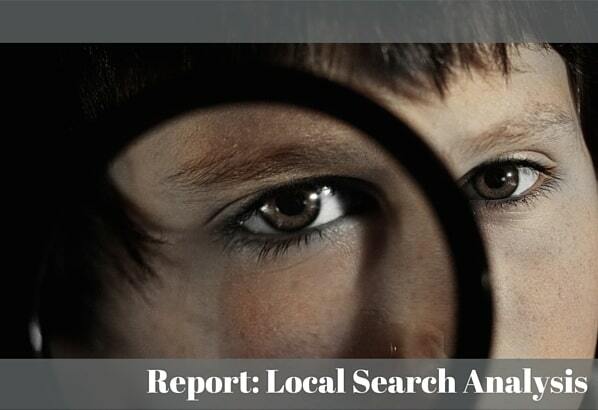 For me, this local search analysis changed everything. If you’re an agency person who work with brick-and-mortar businesses, you know what a big pain-point online reviews are for your clients. If you’re a local business owner, you personally know how much online reviews can affect your bottom line. Google reviews are right there in the search results. Potential customers are confronted with your Google reviews before they ever click on a listing! As you already know, consumers are looking toward online reviews in increasing amounts. Online reviews are complex, even Google’s own reviews. But how do they affect Google’s search results? As you can see, reviews show up prominently. I knew that before going into my research. What I didn’t know, however, was how reviews factored into the second 3-pack. The second 3-pack is displayed when you click “more places” at the bottom of the first 3-pack. As it turns out, the first three Google local search results have 472% more reviews than the second three Google results. The listings in the first 3-pack, far and away, have a ton more reviews than the listings in the second three pack. This isn’t based on a small amount of data and analysis. It’s not me cherry-picking data. I had no idea this was the case before I did the research. Let me reiterate, I analyzed 22,032 local listings! Google reviews matter for search engine visibility. If you’re an agency, that’s huge news for your clients. If you’re a business owner, that’s big news for your overall website traffic and new customer acquisition. I have more data listed in the full report, but that was one of the most staggering statistics I found. One of my other findings shouldn’t come as a huge surprise. If we stand back and think about it logically, it makes sense. My research included a total of 101,741 reviews. Restaurants accounted for nearly 25% of those. Restaurant reviews are huge, of course. When we’re seeking out a new place to eat, we don’t want to waste time or money. Many of us only eat out every once in awhile, especially if we have our entire families along for the ride. Ideally, reviews help us find a restaurant that’s a good fit for our budgets and our palates– especially if we’re visiting an unfamiliar city. Restaurant reviewers are also passionate about their opinions. It’s no wonder restaurant reviews are so numerous! Still, 24,528 of the reviews I analyzed were for restaurants, while physical therapists made up only 497. Quite the contrast. Online reviews are important for restaurants, but imagine what kind of search visibility difference some great Google reviews could make for a physical therapist in a competitive market. If you’re an agency person who works with physical therapists, now you know where to focus. This research opened up a whole new world for me. I fully plan to dive in even deeper at the next available opportunity. This blog post only encompasses a few of my findings. I urge you to check out the full report on our resources page. It’s full of charts and data about how Google reviews affect search engine visibility, and about how common online reviews are for certain industries. Whether you’re an agency person or a business owner, there’s something valuable in it for you. Question: Which part of our research did you find most surprising? Let us know in the comments.